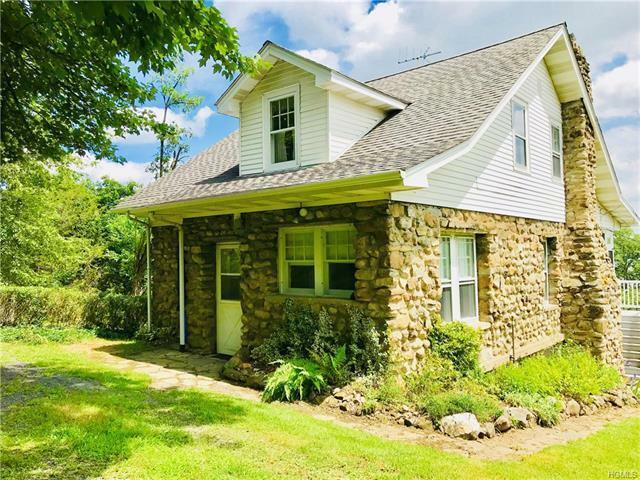 ORANGE LAKE STONE COTTAGE - Fabulous opportunity to own a stone cottage home on Orange Lake with deeded lake rights. Home features 4 bedrooms, 2 full baths, first floor laundry room, large eat-in kitchen, living room with beautiful coffered ceilings and woodburning stone fireplace, original woodwork thru-out, laundry room on first floor, hardwood floors thru-out, gorgeous glass and wooden doors leading to fully enclosed porch overlooking the lake with beadboard ceilings and ceiling fans, lower level has large basement area for storage and access to porch overlooking lake perfect for family gatherings and barbecues. Orange Lake is a four-season recreational lake perfect for boating, fishing, swimming, ice fishing, ice boating, jet skiing and motor boating.